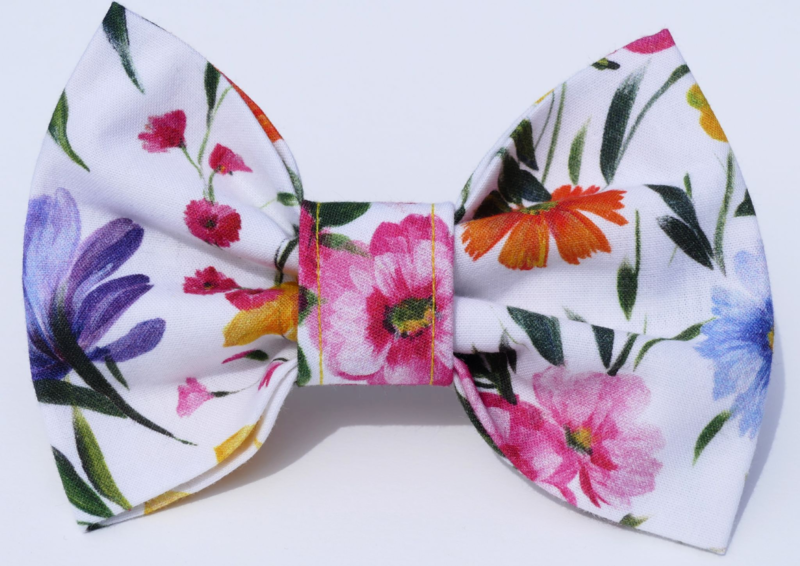 A gorgeous Summer Floral dog Bow Tie that is a perfect spring/summer accessory for any dog. 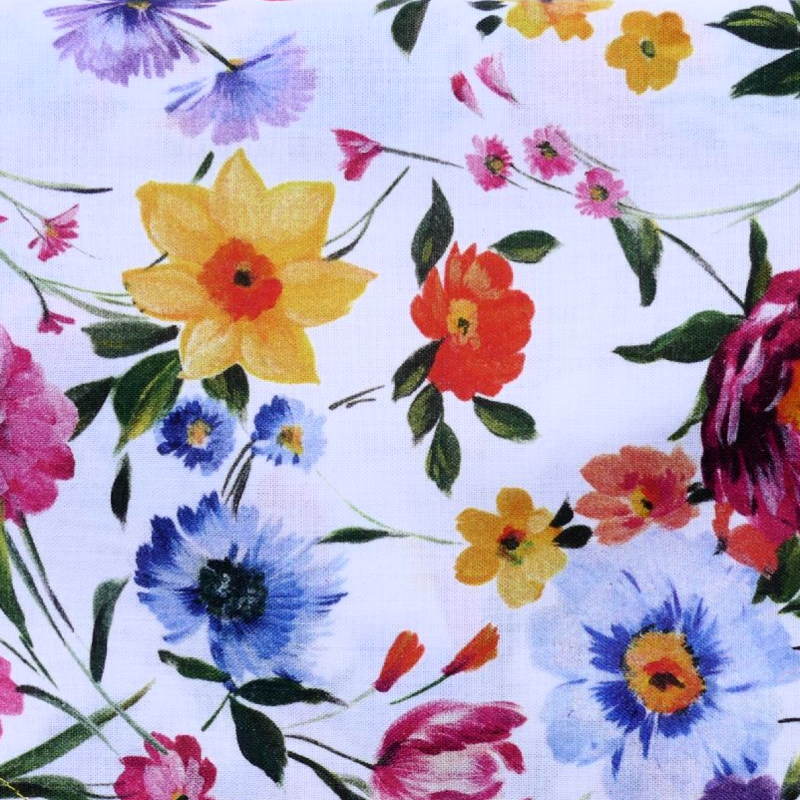 The background is white, and the print has lots of lovely flowers in different colours. This bow tie is so stylish, and will brighten up the dullest day!